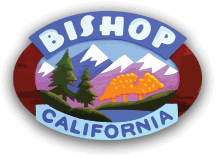 Bishop Country Club makes it difficult to keep your mind on your game with the beautiful High Sierra as a backdrop. The Bishop Country Club is open to the public and offers an 18-hole championship course to challenge even the seasoned pro. Experience the game of golf in the way Mother Nature intended it to be… set in the magnificent shadow of an Eastern Sierra sunrise. It may be difficult to keep your mind on your game with the beautiful High Sierra as a backdrop, but you have to do what you have to do! The Eastern Sierra’s best 18-hole championship golf course, The Bishop Country Club, is open to the public and offers an 18-hole championship course to challenge even the seasoned pro. Located on Hwy 395 at the south end of Bishop, the course is in a beautiful setting between the Sierra Nevada and White Mountain ranges, our full-service pro shop, restaurant, bar and lighted seasonal driving range are staffed by friendly professionals. The course is open year-round, weather permitting. Open to the public. Furnace Creek Inn & Ranch Resort is home to the world’s lowest golf course, located in Death Valley National Park. Stay at the historic four-diamond inn or the comfortable ranch, with services including the 18-hole golf course recently renovated by Perry Dye. Borax Museum, four restaurants, general store, gift shop, lounges, service station, spring-fed swimming pools, and an airstrip. 760/786-2345.